This is another photo sent by Halbo Kool and one I feel very fortunate to have. 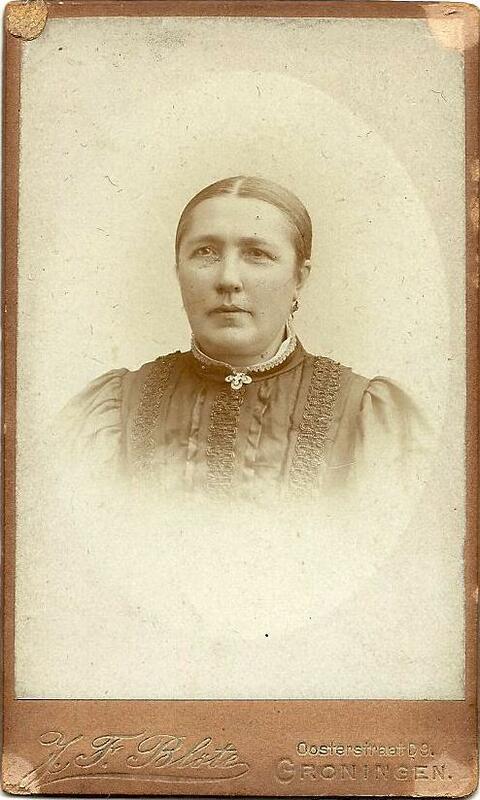 The only other photo of Gonda Margaretha Duuntjer (my third great-grandmother) that I have is from when she is much older, perhaps an anniversary photo? She was born and lived her whole life in Veendam, Groningen, Netherlands.